Research indicates that 86% of employees have 'Managing their health' as a top priority in life. 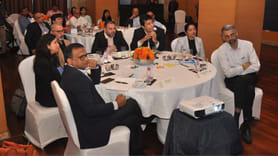 Organizations have also been very active in engaging employees through wellness programs. Though there is a lot of money and effort put in implementing wellness programs, the question still remains on how to make them work and get the maximum ROI. 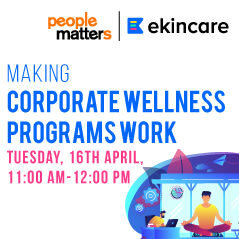 This webcast by People Matters in collaboration with ekincare will bring you actionable insights on designing a corporate wellness program that really works. 1. Why corporate wellness programs fail? 2. Where are organizations going wrong in designing a workplace wellness program?